He hunted them, he found them, he killed them; now they have come back to settle the score. 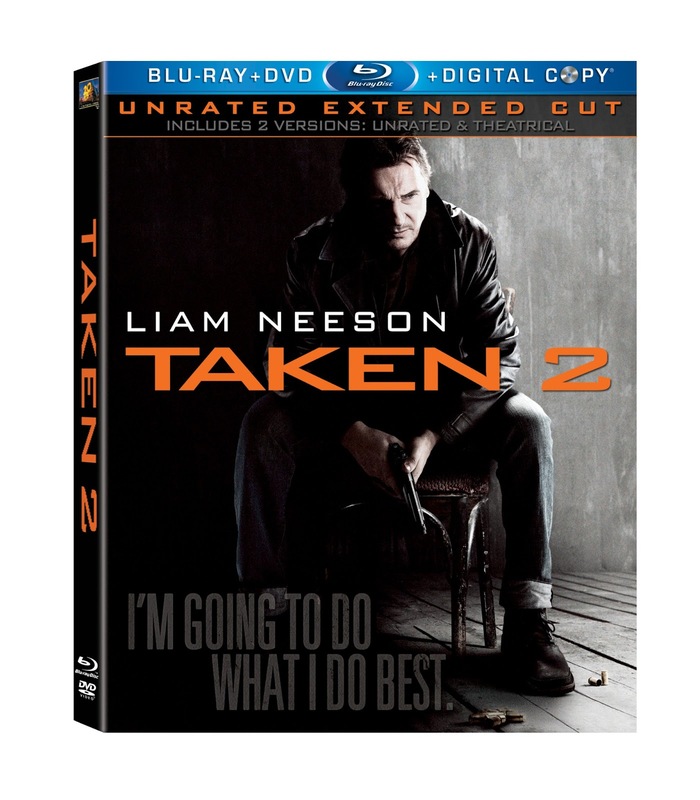 Twentieth Century Fox Home Entertainment presents the return of former CIA operative Bryan Mills and his “particular set of skills” when TAKEN 2 arrives on Blu-ray Combo Pack and DVD January 15. The sequel to the 2008 box office smash Taken, this action-packed follow-up has brought in $135 million theatrically in the U.S. alone. Oscar- and BAFTA-nominated actor, Liam Neeson (Clash of the Titans, Taken, Batman Begins) returns as Mills, the retired CIA agent who stopped at nothing to save his daughter Kim from kidnappers. When the father of one of the villains Bryan killed swears revenge, and takes him and his wife hostage in Istanbul, Bryan must enlist the help of Kim to escape. Bryan then employs his unique tactics to get his family to safety and systematically take out the kidnappers, one by one. I absolutely loved Taken part one. It was filled with action, a great story line and amazing acting. The things one man went through to save his daughter was touching. I have to admit when I first saw the trailer for Taken 2, I shook my head. This was going to be the exact same story line, but with his wife instead of his daughter. Even being a big Liam Neeson fan I was a bit hesitant to watch part two because I didn't feel there should have been a sequel to the first movie. But when I told my husband I had the opportunity to review it, he talked me into it and told me to at least watch it. I have to say I'm glad he talked me into it. Liam has done it again and in this sequel there's even more action then there was in the first movie. From beginning to end there was just tons going on. It kept me interested and actually guessing to see what was going to happen next. If you're big on action movies, a fan of Liam Neeson or you watched Taken part one, you definitely have watch part two, you won't be disappointed. Disclosure: All opinions are my own. I received Taken 2 on blu-ray DVD combo at no cost for the purpose of this review. No other compensation was received. I loved how they kept with the same plot line as the first movie. I think Taken two was even better than the first, because it had more action and because it was a continuation from the first. When I was working my shift at DISH one of my co-workers suggested I go and rent this move, and I am happy I did. I had a movie from the mail with the Blockbuster @Home service through DISH, so I went and exchange that at one of the local Blockbusters. I love that I can take any of the movies I get in the mail and go exchange them in the store at no additional charge. I never have to go without a movie, and I love that I can go get something right away and not have to wait. #NoTradesies with Snack Pack Giveaway! Start Your New Year Healthy with @CheeChaPuff !